The new Super Rugby season is finally upon us and I for one am getting tingly all over. 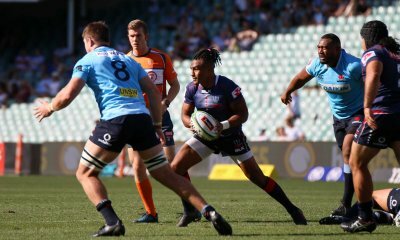 Will this be the year that the Melbourne Rebels establish themselves among the competition’s top sides? Expectations were high at the beginning of the 2018 year and the team did not disappoint. They started the season with a bang winning four of their first five games with bonus points. The win at home against the Sharks provided a real highlight. For a short time the Rebels actually topped the competition ladder, heady days. As the season progressed however the Rebels began to stutter. A lack of game management and composure at crucial times lead to a number of winnable games slipping away. Nevertheless, a maiden finals appearance remained a possibility until their final round loss to the Highlanders. The Rebels finished 2018 second in the Australian Conference and ninth overall with a total of seven wins and a points differential of -21. Although there were plenty of “what if?” moments, considering the large player turnover and an all new coaching team the results were reasonable. Hopefully the players and coaches will have learnt some valuable lessons from their disappointment and we will see some real improvement over the course of 2019. 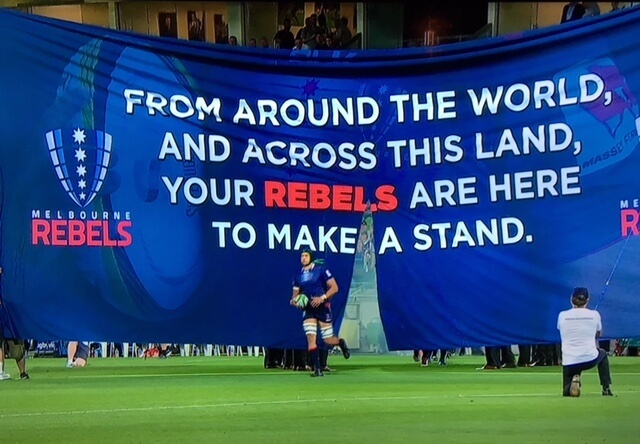 Twelve Rebels will not be returning this year: Tom Moloney, Laurie Weeks (retired), Geoff Parling (retired), Lopeti Timani, Amanaki Mafi, Tayler Adams, Jack Debreczeni, Jack McGregor, David Horwitz, and Henry Hutchison, as well as fan favourites, Colby Fainga’a and Sefa Naivalu. Forwards coach Joe Barakat has opted to return to Sydney and has also left the club. If anything expectations are even higher for 2019 with several commentators predicting the Rebels to win the conference. Certainly the fans are demanding to go one better than last year and see the team make the finals. 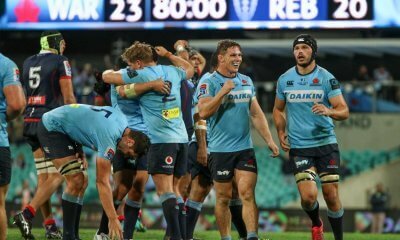 The bookies are not so sure, pricing the Rebels to finish behind both the Waratahs and the Brumbies. The Rebels’ backline looks very strong on paper, probably as good as any other team’s. It will be interesting to see how quickly and how well the team adjusts to being steered around by Quade Cooper. Plenty will depend on how much time Will Genia spends on the field. The Rebels are a completely different team when Willie G. is on. His combination with Cooper could well be the key to unlocking the undoubted potential among the Rebels backs. Questions still remain regarding the quality of the front row. A fully fit and in form Jordan Uelese will make a big difference to the set piece but I don’t necessarily see this as the massive issue some are making it out to be. No team wants to see their scrum being pushed backwards and giving up penalties but, the scrum doesn’t often cost games. Last season the Jaguares had statistically the worst scrum in the competition but made the play offs while the two best scrummaging teams, the Chiefs and the Blues had ordinary seasons. It is more important that the forwards can give you front-foot ball and get over the gain line. The Rebels have some big, ball runners among the locks and back rowers and should be able to compensate. Game management: too many times last year the Rebels lost their composure and structure when under pressure. Hopefully the experience Cooper will bring to the team will help but new captain, Dane Haylett-Petty and other team leaders need to make better in-game decisions. Discipline: Last year the Rebels were the most penalised team in the competition and had the equal most number of yellow cards. It is unacceptable for this to continue. In fairness though, Amanaki Mafi was responsible for a large number of those penalties and he is no longer with the club. Tackle Success: In 2018 the Rebels tackle success rate was also the worst of any team, missing an appalling 18.5% of all tackles. Attack: The side needs to find its way to the tryline more often. The three conference winners all scored well over 70 trys, the Rebels managed just 57. Defense: Fixing the discipline issues and improving tackling will go a long way towards improving the leaky defense but the overall structure of the “up and in” defensive line hasn’t worked. The Rebels downward spiral seemed to coincide with Nathan Grey’s visit last year. Coincidence? Mees Erasmus, Robbie Abel, and Isi Naisarani (Brumbies), Hugh Roach and Brad Wilkin (Waratahs), Luke Jones (Bordeaux), Quade Cooper (Souths), Campbell Magnay (Suntory) and Matt Toomua* (Leicester Tigers). In addition, young locks Esei Ha’angana and Trevor Hosea have both been promoted to the full squad. * Matt Toomua will not be available until the conclusion of Premiership Rugby. I’ve left out Matt Toomua as he is likely to only be available for a few games at the end of the season. Campbell Magnay may well come into the side but at this point, he is an unknown quantity. I would very much like to see Sione Tuipulotu step up this season and have a good crack in the midfield. One young player to keep an eye on this year is 21-year-old prop, Pone Fa’amausili. At 1.96m tall and 138kg, he certainly meets the minimum size requirements for a hulking tight head. Some good judges believe he will be in the 23 by season’s end. Hell, if you can’t be full of confidence and optimism at the start of the season then there must be something wrong. I’m tipping the Rebels to win the Australian Conference and go on to make the grand final. Why not? Seriously though, with this squad and a year’s more experience, anything less than a winning season and a finals appearance must be considered a failure. Our time is now. Please let me know in the comments where you disagree. Really excited about what Isi, Quade and Luke Jones can bring to this side. Given the quality in the comp, success can depend on depth and weakest positions. Front row is a small concern, hopefully Ainsley has developed with international experience. Also, centre didn’t provide much punch last year. English is a solid player, but may not challenge the better sides. I would like to see Magnay show the form he displayed just prior to leaving the Reds. There is some good local(ish) talent on the edge of the squad that hopefully really come on. Ie Uelese and Sa’age, Hosea & Ha’angana at lock, Leota back row, and Tuipulotu and Tupou in the outside backs. Hopefully Goddard gets some more game time this year to see what he is capable of. My favourite part of the Rebels however is the grit and determination of Cottrell and Hardwick. They will be even more important this year. Thanks Juan. I agree with your observations, except regarding English. I think he’s a bit underrated. IMHO, I thought our most functional midfield combo last year was Hodge 12, Engo 13. But yeah, if either of Magnay or Tuipulotu can grab the 13 spot then all the better. I expect that we’ll see Toomua 12, Hodge 13 at the end of the season in any case. Excellent write-up Tony, Thanks. I start every season believing this is the one… and then end up very disheartened! Anyways, I think finals is a must goal this year, but this is one tough competition and it only takes a few slip-ups to take you way down the ladder. Still, I’m very excited by what could be and I am pumped for our first game this Friday against the ponies. Thanks GMR. So pumped for this week! It’s such a good feeling when not-rugby-season is finally over. Thanks mate, that’s a great review. I think one of the things that went wrong last year was the reliance on Mafi and if that didn’t work then there was no plan B. I hope Coleman lifts his game and gets stuck in now he hasn’t got the captain duties to distract him and between him and Naisarani I think they have the go forward that they lost with Mafi. Cooper will make a big difference but I think he needs to step up on defence a bit and not hide like he used to. I actually agree with the prediction although I think the Brumbies may take the first game as they are at home and have no missing players. Later on as they gel more I think we’ll really see the potential come to the fore. Fun fact – Cooper did not miss a single takle in super rugby last season. and your last line stopped me giving you an upvote, surely you hate one of the kiwi franchises? Thanks KRL, I really didn’t want to dwell on Mafi too much but I agree, we relied on him taking just about all the hit-ups over the last two seasons. I think we’ll have a better team balance with Naisarani. It’s quality writing like this which makes me a big fan of G&GR. The number of hookers interests me. 4 hookers for one position. 6 locks for two positions. 6 backrowers for three positions. Is the relatively high number of hookers a normal squad weighting due to the tough nature of the position? My read – Abel was brought in to cover for Jordan Uelese, who is still in team rehab. He probably won’t be read until round four, and given his injury I don’t think they want to rush him. Smart team rehab work IMO. Robbie brings a wealth of experirence and is a worthy addition to a historic problem area for the Rebels. Thanks so much for your comment FF. Timmay already answered the point re hookers. Regarding the six locks – it’s really three positions as there’s always a lock on the bench. Two of the spots in the squad have been given to a couple of developing young players in Hosea and Ha’angana. Even if there are a few injuries I think RH-P would probably cover lock before either of the young guys would start (although Ha’angana did play a few games in 2017). Super write up Mr Wobbly! Thanks for getting the conversation going. Only point I would take issue with is the importance of the scrum. You said the scrum doesn’t lose you games (and had some excellent data points in support) but it can go a long way to losing tight games, which is what the Rebels did a last year. If you start giving away scrum penalties you are immediately giving up some serious territories and if you are under the cosh close to your try line it’s penalty try and yellow card time. If you watched the Reds v Chiefs trial game Tupou and co absolutely chewed up the Chiefs scrum. A weak scrum could easily 100m of territory a game and ruin what is usually a great attacking platform. I’m a Tahs fan so have suffered from the above worries!!! Parity is all I ask for nowadays. Thanks Huw! I can’t argue against that point about the scrum except to say that the same thing is also true about other crimes committed by forwards defending. Pulled down mauls, coming in from the side, repeated off sides can all end up with cards and penalty trys. Fixing some of the discipline issues in other areas will take some of the pressure off the odd scrum penalty. Plus, I reckon the scrum will hold up a bit better this year anyway. As you say about the Tahs, parity would be good enough. Great squad of backs but the pack is my real concern. Scrum penalties can quickly turn into cards and we all know what can happy when a team is down to 14. Difficult first game against what seems to be a full strength Ponies side. I would be very happy if we just slipped into the play offs and picked up some wins away from home. Guess I’m a glass half empty bloke. I’m worried about props. You can play with 5 backrowers if you’ve locked down up front and they are well served in hookers. But 1 and 3 are a problem I feel. Much depends on QC’s game management. Therefore I hope he is engaged in whatever the Rebels style will be this year and I hope he doesn’t get hurt as there doesn’t seem much an alternative behind him. Thanks Nutta, we have a decent collection of props and, with the exception of Daley, are all still pretty young in prop years (which seems to be about 0.8 normal human years). If Fereti and one of Ainsley, Talakai, or Fa’amausili keep improving I think we’ll be OK.
I’m hoping Talakai delivers on the selection-investment he has got now for a few years.